The task force, with Steven M. Sheffrin and James Alm as members, presented its recommendations to the Louisiana legislature. 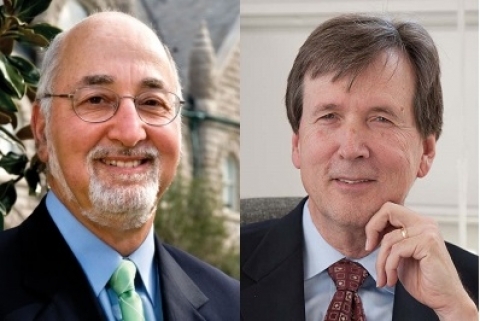 This spring, Steven M. Sheffrin, Professor of Economics and Executive Director of the Murphy Institute at Tulane University, and James Alm, Professor and Chair of Economics at Tulane University, were appointed to the Task Force on Structural Changes in Budget and Tax Policy, a new legislative task force established to target structural tax and budget reforms for the 2017 fiscal session. This task force presented its final recommendations to the state legislature on Tuesday. The task force recommends simplifying the tax system with lower rates, fewer exemptions, and a broader revenue base and emphasizes that an effective tax structure should be fair, simple, and stable in the long term. The task force’s recommendations focus on the budget, as well as sales, individual income, corporate income and franchise, and property taxes. Recommendations include implementing and adhering to improved revenue forecasting, particularly with regard to the MFP, Medicaid and TOPS; and continuing the ongoing review of state contracts to identify opportunities for consolidation, renegotiation or elimination. Recommendations include reducing the state sales tax rate to no more than 4 percent; expanding the state sales tax base to include non-residential utilities and certain services currently taxed in Texas and other states; and retaining eliminations of exemptions made by the Legislature earlier this year. The task force recommends two options for individual income tax changes. The second option, a statutory change removing the excess itemized deduction, would use the new three-bracket structure, but would leave the rates at 2%, 4% and 6%. Various exemptions would be eliminated or allowed to expire. Corporate income tax recommendations include support for eliminating the state corporate income tax deduction for federal income tax, a constitutional amendment (Amendment 3 on the Nov. 8, 2016, election ballot). If passed, the amendment would also trigger a simpler, flat corporate income tax rate of 6.5 percent that would be more stable than the current graduated rate which ranges from 4 to 8 percent. Recommendations include amending the state constitution to allow for the gradual, ten-year phase out of locally assessed ad valorem taxes on inventory. The task force also recommends elimination over a five-year period of the state income and franchise tax credit for ad valorem taxes paid on inventory. The full set of recommendations is available at www.revenue.louisiana.gov/taskforce, dated 11/02/2016. A final report has been made available at the same link as above, dated 1/27/2017.